Skittering Surveyor (Krabbelnder Landvermesser) inkl. 0% MwSt. 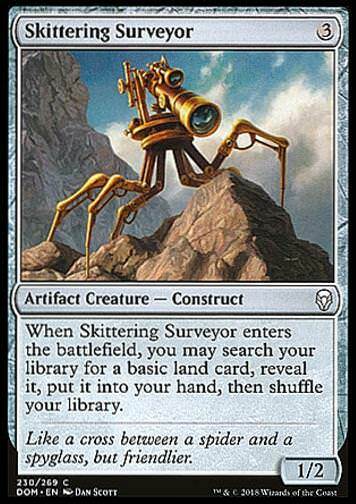 Regeltext: When Skittering Surveyor enters the battlefield, you may search your library for a basic land card, reveal it, put it into your hand, then shuffle your library. Flavourtext: Like a cross between a spider and a spyglass, but friendlier.